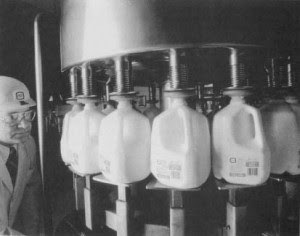 Welcome to the information sharing site for pasteurization, pasteurizers, and full discussion on all elements of shelf life stabilty. This site has been inspired as there seems to be a fragmented base of users across sectors of packaging and products (beer, milk, juice, wine, beverage, and food) and technlogies (tunnel pasteurization, cooling, warming, hot fill, filtration,retort, flash pasteurization) and new technologies (electron beam, x-ray, gamma-ray). We beleive we have assembled a large spectrum of authors and contributors for the site in the next year who are well versed in all these topics. This site is intended to fill the nitch of talking with the competition in the interest for group learning and furthering technlogy. If you would like to contribute content to the site, or would like to advertise, please send e-mail to webmaster@pasteurization.info.